Recipe adapted from Taste at Home. Looking for more? Read more posts about A Week of Pumpkin Recipes & Recipes. Can I make a request? I like to look at your site during my lunch hour but have been having trouble getting it to load and I think it is because of all of the pictures. 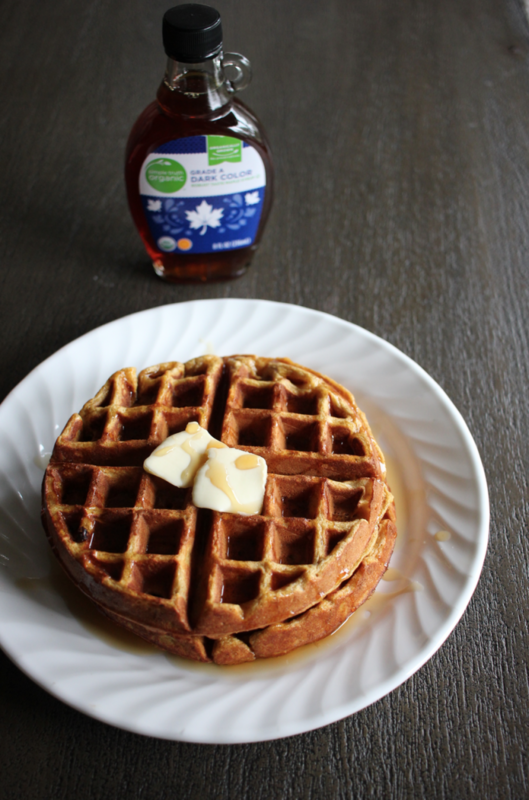 Take this post for instance – you have 8 pictures of the waffles in this short post. Some of them look identical. Is there a way to limit almost identical pictures in your posts so that pages load more easily? Just a thought, though maybe I am the only one that has trouble viewing picture heavy posts? 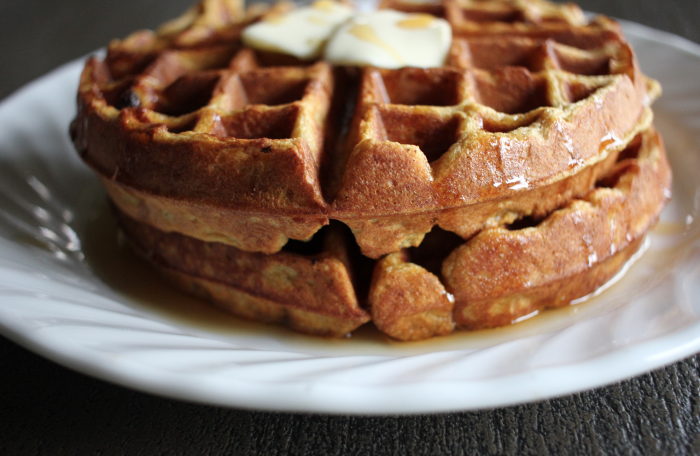 The waffles do look delicious though. I don’t have trouble loading pics or posts, but I have noticed that when I click on comments to open in a new tab, it used to go straight to comments for me. But now it opens the post at the very top. Does anyone else notice this? Thanks! That’s funny, I haven’t had a single problem loading any of her posts and I’m on an old iPhone 6s. Perhaps it’s your internet connection that is not very good causing the slowdown. I personally love seeing these photos! It keeps me inspired to try new things! Could point Kasey. It could be the internet at work – which I have no control over. The only 2 sites I have trouble loading at work are MSM and Pinterest – both with loads of pictures. Oh well, I will just have to read MSM at home more. We love your pumpkin chocolate chip muffins. 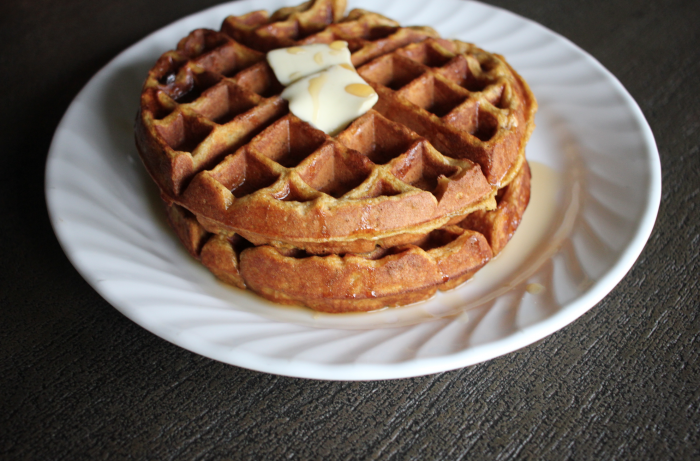 Can’t wait to try this waffle recipe! I hope you love it! We LOVE those muffins! 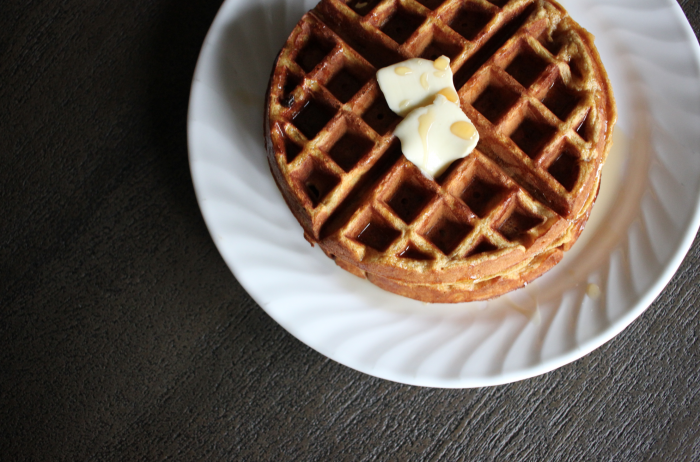 Can you tell us what kind of waffle maker you have? Those look delicious and my family is wanting a waffle maker like that. It’s a Belgian Waffle maker — I think we got it from Walmart a long time ago! We love it! 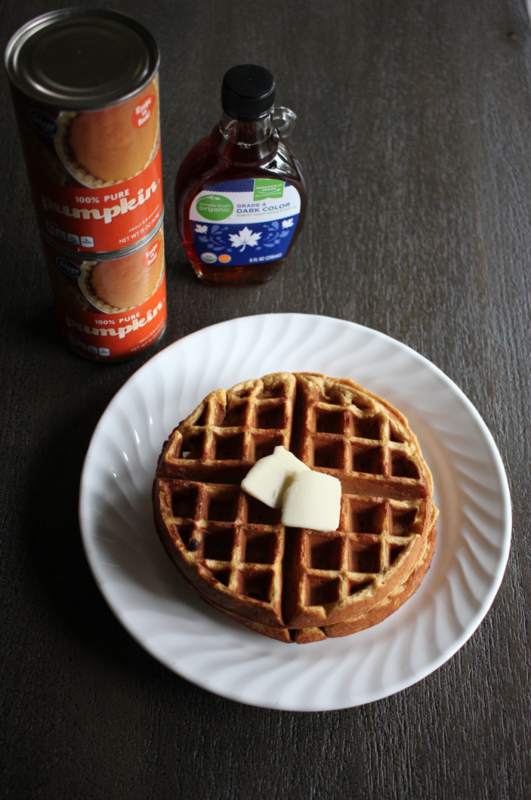 This is our new favorite waffle recipe for Fall! We’ve made it twice already! The texture and flavor are perfect! Oh YAY! That made me so happy!